We should try to move in this direction. Sri Chaitanya Mahaprabhu says, “I don’t want any money (na dhanam), I don’t want any popularity or manpower (na janam), I don’t want the company of beautiful ladies (na sundarim). 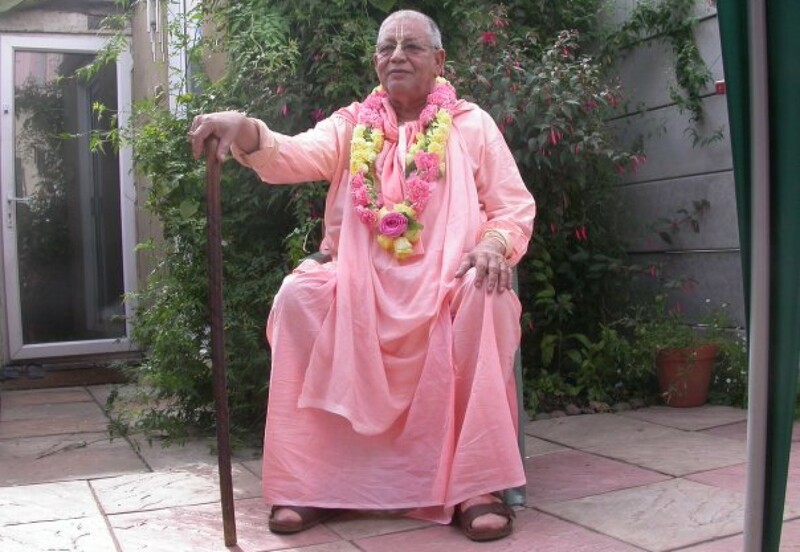 I don’t want a good name, or the fame of a poet (kavitam va).” This is the general meaning of this verse, but it has been deeply dealt with in the commentaries of Srila Bhaktisiddhanta Saraswati and Srila Bhaktivinoda Thakura. Our Guru Maharaja has commented that in this verse, wealth, followers, women, and scholarship represent duty, wealth, sense pleasure, and salvation (dharma, artha, kama, moksa). Bhaktivinoda Thakura has explained that in this context, “wealth” means the wealth which comes from following one’s prescribed duties. It can also mean artha, economic development. He says that “followers” means physical relationship for comforts: wife, children, and so forth. The word sundarim means kama, the company of beautiful ladies. And kavitam, poetry, represents moksa, liberation. Liberation apparently as a high value but really, like poetry, it is only flowery words. Liberation is imaginary because the ultimate result of liberation is that one’s existence vanishes. Sri Chaitanya Mahaprabhu says, “O Lord of the Universe, I only pray for spontaneous devotion to You without motive for any reward. I want a natural serving attitude.” Prema means affection, love. Prema means, “I shall serve you, and in remuneration you must give me more of a tendency to serve you-more energy and more hankering to serve your. 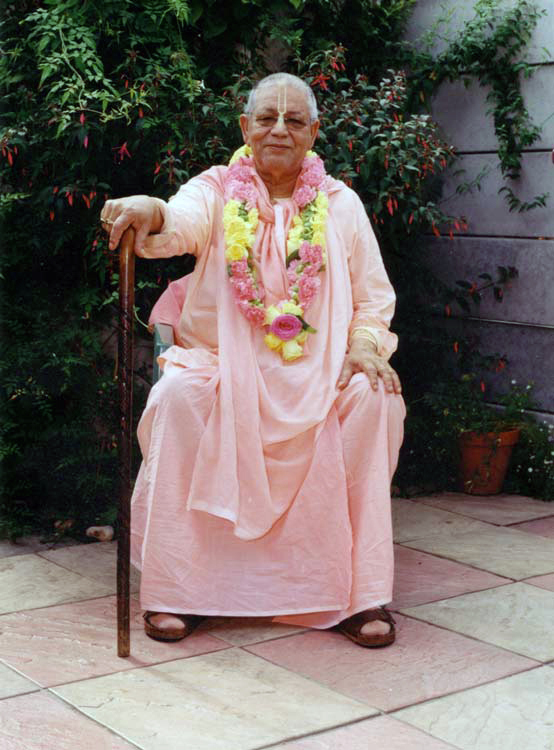 My affection for you will be enhanced and the interest will become capital just as in the money-lending business.” In this way, a devotee prays to Krishna, “I am serving you, and if you want to pay me something, then give me more capital to increase my serving tendency so it may be more enhanced. 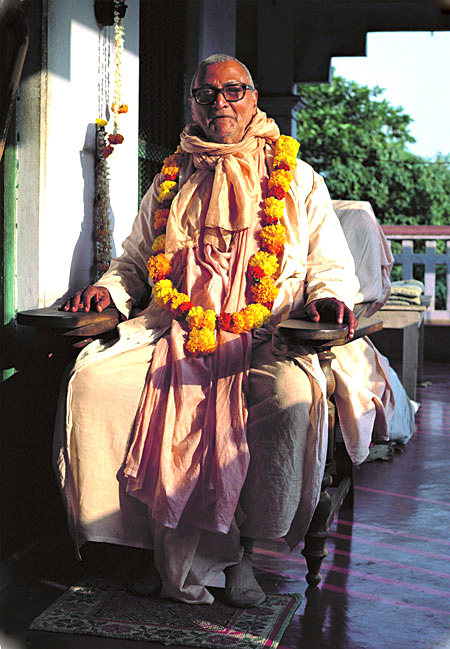 “Wherever I am born according to my karma, I aspire only for your service, my Lord, and I pray for unmotivated service, not for anything else in return.” The general temptation that surrounds us on four sides is of four classes: money, followers, women, and liberation, and that means dharma, artha, kama, and moksa. In this way, the gradations of different goals of life have been scientifically represented. Bhaktivinoda Thakura says that when a baby has no knowledge, and an enemy or a disease comes to attack him, he cannot defend himself. 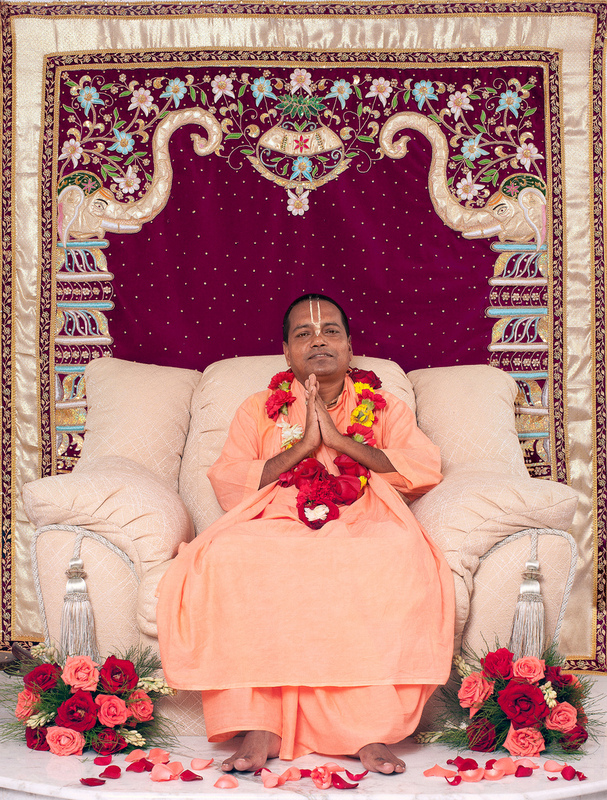 In the same way, in the beginning, when one’s realisation of the Holy Name is in the childlike stage, then crimes and offenses against the Name can prevail. When one’s realisation is grown up, no offense can approach him, but so many offenses may come and attack the beginner. Vasudeva Datta also prayed, “Give the sins of all souls to me, and throw me into eternal hell, so that they may benefit. Give them love of Krishna.” By that highly generous sentiment, he does not die. It is said, “Die to live.” When we have so much appreciation for the Lord that we feel this kind of sentiment, we find a living attainment of higher life. That is the enjoyment we want. The last verse of Sri Caitanya Mahaprabhu’s Siksastakam will explain this feeling. Another example of this is found when the great sage Narada came to the gopis and asked them for the dust of their lotus feet for the treatment of Krishna’s headache. Here we find self abnegation to the highest degree, and that is the whole point of devotion. The very life of a devotee is based on sacrifice. As much as there is sacrifice, there is benefit. And sacrifice means “Die to live.” This is a favorite saying of mine. These are Hegel’s words: “Die to live.” Krishna is the highest consumer known to the world. We should not hesitate to give ourselves to Him.